Is There a Link Between Gum Disease & Heart Disease? 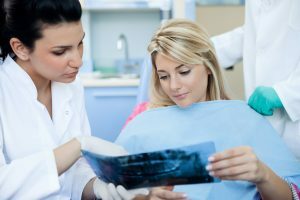 For years dental and medical researchers have noticed a relationship between cases of gum disease and a wide range of chronic and systemic illnesses. From diabetes to Alzheimer’s disease, poor oral hygiene seems to be one common indicator of risk for a variety of whole body health concerns. In the past, research has indicated gum disease as a potential risk factor for health issues. However, the recent research out of the University of Florida Department of Periodontology may have found a causal link between gum disease and heart disease. Periodontal is a combination of two words, perio for around and odont for tooth. Gum disease occurs when the hard or soft tissues surrounding teeth are infected, inflamed, or otherwise damaged. In most cases, gum disease is a direct result of the excessive buildup of plaque and tartar at or below the gum line. What is Cardiovascular (Heart) Disease? Cardiovascular disease, better known as heart disease, can describe a wide range of physiological responses including elevated blood pressure, tissue inflammation, heart valve blockage, increased cholesterol, and a wide range of other concerns. Most people have predisposing factors like weight gain or poor diet, but some heart disease is purely congenital. That means if your family has a history of heart disease, you need to be aware of this and on guard against possible health complications. How Have the Two Diseases been Linked? For the study, researchers orally infected mice with four types of bacteria commonly linked to gum disease. These mice almost universally showed signs of heart disease, including inflammation and high cholesterol levels. While this is still not definitive proof of the causal link between gum disease and heart disease, these results do bring us closer to understanding this relationship. Presented at the 2014 American Society for Microbiology annual meeting, the results of this study are still ongoing, and the need for further research is indicated. If you suffer from gum disease, it’s essential to seek restorative treatment right away. Without the necessary periodontal therapies, your gum disease will likely get much worse. This is especially important if you suffer from heart disease or have a history of cardiovascular illness in your family. Call the Rocky Mountain Periodontal Specialists to schedule an appointment with our Colorado Springs specialty practice. We offer the widest range of treatments for gum disease, and our skilled professionals have years of experiencing working with patients to improve their oral and overall health simultaneously. Comments Off on Is There a Link Between Gum Disease & Heart Disease?